CON DAO OR PHU QUOC? Here are 11 things to consider when choosing between Con Dao and Phu Quoc islands. Both Phu Quoc and Con Dao can be reached by air or sea. Flying to either island from Saigon takes less than 45 minutes. Flights from Saigon to Phu Quoc run almost hourly, and there are also flights from Hanoi. With three airlines operating on this route (Vietnam Airlines, Jetstar, Vietjet) competition keeps prices fairly low. Early birds can expect to pay less than $100 for a return ticket, whereas late comers or those travelling at peak times (weekends and holidays) will pay over $100. Phu Quoc’s new international airport was built to accommodate large aircraft with the expectation that visitor numbers are going to rise significantly in the coming years. Indeed, there are already charter flights from Russia, and it won’t be long before Phu Quoc is linked directly to regional hubs, such as Bangkok, Kuala Lumpur and beyond. 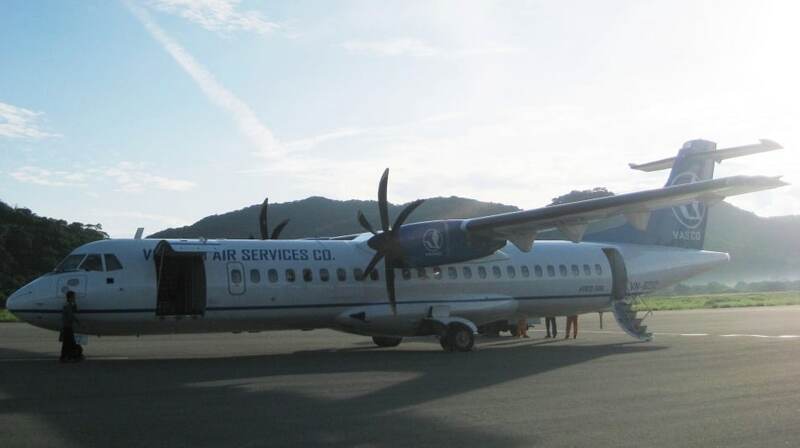 Con Dao, on the other hand, has a small airport whose runway is limited by the island’s rugged topography, and can only accommodate small propeller aircraft. Only Vietnam Airlines flies to Con Dao; from Saigon and Can Tho in the Mekong Delta. There are four or five flights a day from Saigon, and four flights weekly from Can Tho: average return prices are $100-$150. 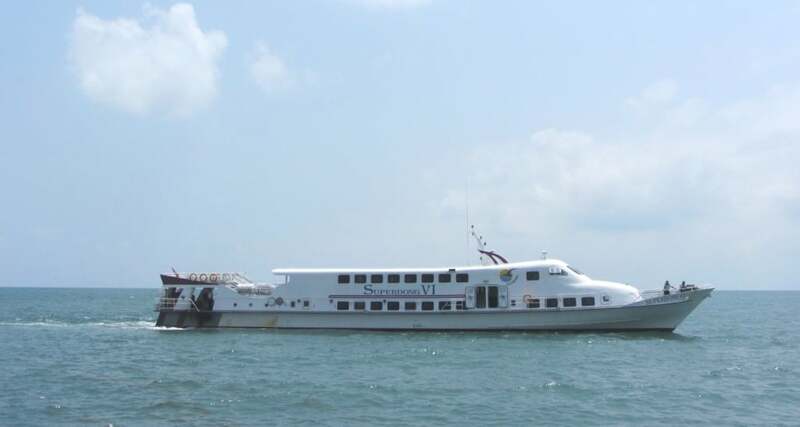 To Con Dao there are about four sailings each week from the port at Vung Tau (2 hours east of Saigon). It’s a 10 hour voyage in fairly cramped conditions on a small vessel. Tickets are only $10 but very few travellers choose this option. Taxis are inexpensive and easily arranged on both Con Dao and Phu Quoc. Motorbike rental is $7-$10 per day and a great way to see and get around either island. (For much more detailed information about transport see Related Content). Like all islands, prices on Con Dao and Phu Quoc are a little higher than on the mainland. 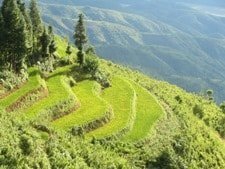 In particular, you’ll find that prices on Con Dao are significantly higher than elsewhere in Vietnam. This is partly because the island is so small and mountainous that very little can be produced there: almost everything is shipped in from the mainland. But it is also partly because Con Dao is yet to see big development, so the lack of competition keeps prices high. Hotels, resorts, food and drink, transport and excursions to outlying islands are all pricier than Phu Quoc. And what you get for your money often pales in comparison to what the same money would buy you on Phu Quoc. However, this is all relative: Vietnam is still a very cheap place to travel, so even if you’re paying $5-$10 more for food and accommodation, you’re still not going to burn a hole in your pocket. Because of the spike in development on Phu Quoc over the last few years, competition – especially along Long Beach – keeps prices at an acceptable level. In particular, accommodation, food, and boat trips are good value for money. Having said that, during the peak season – from December to April – all businesses that cater to tourists raise their prices by as much as 50%. Likewise, in the off season – when rain storms often hit the island – you’ll find prices are very low. In general, if you’re trying to stay within a tight budget, then it’s easier to do this on Phu Quoc. However, it is still possible to enjoy Con Dao on a shoestring: see Related Content for more details. Higher prices: the islands rely on supplies from the mainland. The pace of change and number of visitors to these two islands could hardly be more different. Phu Quoc has been undergoing major transformations to its tourist infrastructure in recent years: a new international airport opened in 2012; old single-track roads have been widened and repaved; new roads have been laid along the coast and through the interior; new ports have opened; massive, high-end resorts now sprawl along some of the previously isolated beaches. And there’s more – much more – planned for the future. Phu Quoc’s star is rising: the government would like it to become the next Phuket. Personally, this sends shivers down my spine. But, things are still in the early stages, and Phu Quoc remains incredibly undeveloped when compared to Thai or Malaysian islands. It’s still easy to find your own stretch of deserted beach, and even the sands of Long Beach – the most developed on the island – could hardly be called crowded. However, all this changes on weekends and especially during the Tet Lunar New Year holidays (January or February), when accommodation can be fully booked, and Sao Beach in particular can get horribly crowded and suffers from trash. Phu Quoc is much bigger than Con Dao, so it can absorb more development, but if you like your tropical islands to be serene, laid-back, and beautiful, now is the time to visit Phu Quoc; before it becomes Phuket. Then you have Con Dao, where development is so slow you hardly notice it. And this is a good thing, because Con Dao is a small, fragile little place with a very rugged coastline, which limits potential development to just a few areas. The number of foreign visitors is still extremely low: most of the time you will have the beaches, roads, museums, restaurants all to yourself. The government wants Con Dao to be a high-end destination: a kind of 5 star island in the East Sea. But it is also wary of turning Con Dao into a place of luxury and leisure because of its past as a prison island, where thousands of Vietnamese revolutionaries were incarcerated or executed. In 2010, the discreet but luxurious and pricey Six Senses Hideaway opened. There are more such resorts planned, but progress is (reassuringly) slow. For now, the majority of visitors to Con Dao are Vietnamese pilgrims, come to pay their respects to former prisoners: sun, sea and sand couldn’t be further from their minds. Phu Quoc offers a great range of accommodation for all budgets, whereas Con Dao’s accommodation is limited to a dozen hotels and one international standard luxury resort. The greatest concentration of places to stay on Phu Quoc is in and around the town of Duong Dong, and along Long Beach. From high-end resorts to backpacker dorms, there’s plenty of choice here and value for money is good. 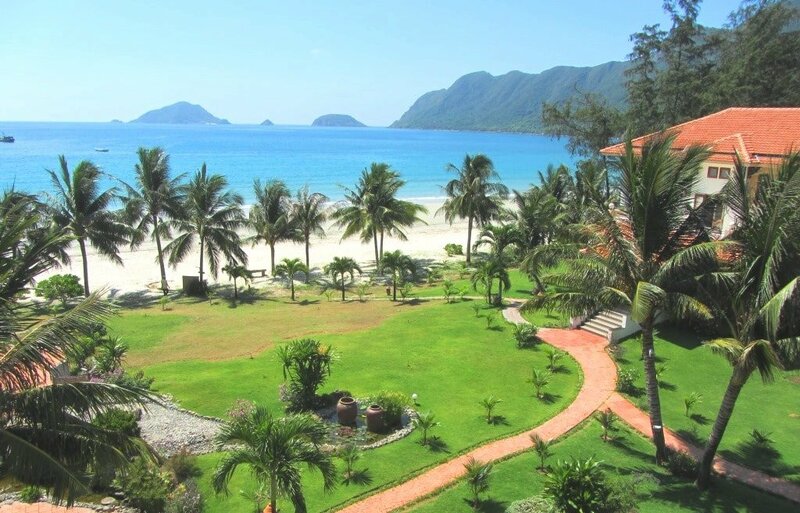 In particular, the mid-range resorts on Long Beach are excellent: my favourite is Thanh Kieu Resort. The rest of the island is peppered with accommodation; there’s an especially appealing cluster of atmospheric resorts on Ong Lang Beach, including the rustic-romantic plantation bungalows of Mango Bay. On a remote, gorgeous beach in the north of the island, the comfortable and classy Peppercorn Beach Resort is superb. 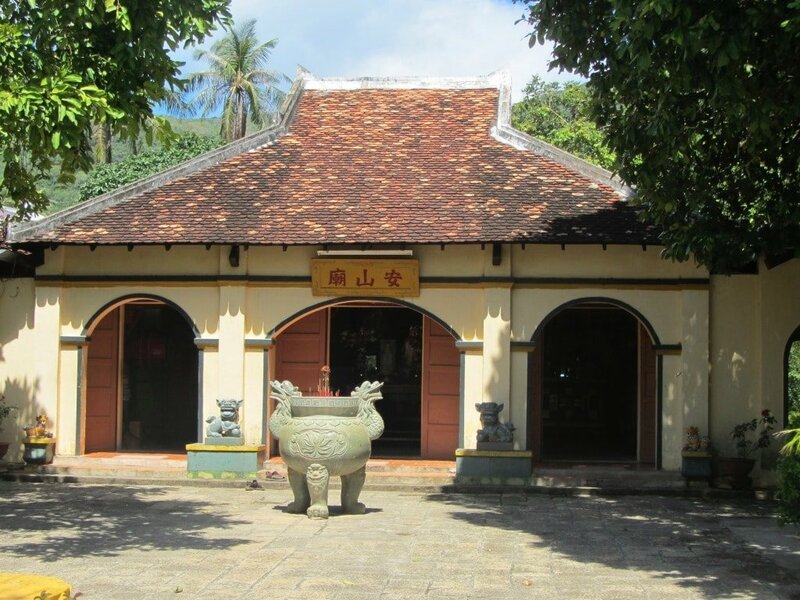 Budget travellers will find nhà nghỉ (local guest houses) in Duong Dong. Almost all accommodation on Con Dao is in the small town of Con Son. In the quiet backstreets, nhà nghỉ (local guest houses) offer $10-$20 rooms, whereas the handful of resorts on the seafront promenade charge a premium for their location: expect to pay around $100 a night. The most affordable seafront accommodation is Con Dao Camping, but for the best location (and sublime sea views) get a room at Con Dao Resort. The island’s first luxury accommodation, Six Senses Hideaway, opened a few years ago. On its own beach, northeast of Con Son Town, Six Senses is secluded and private. It received global press attention in 2011, when Brad Pitt and Angelina Jolie spent a family holiday there. (For much more about accommodation on both islands see my guides in Related Content). Unsurprisingly, seafood is famous on both Con Dao and Phu Quoc. 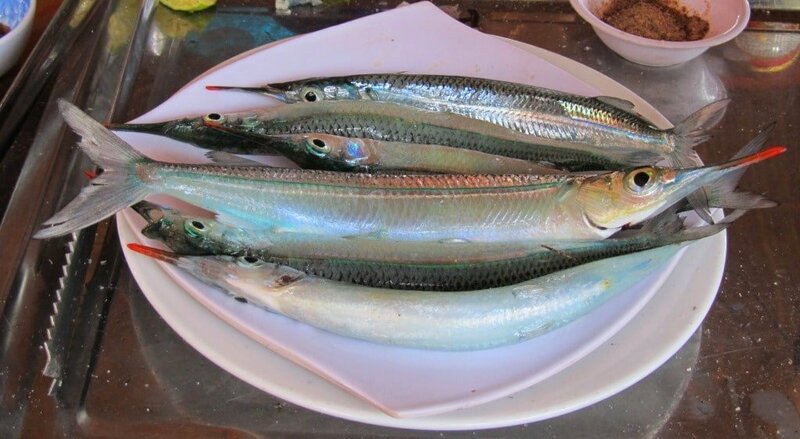 However, really good seafood is still not that easy to find on either island, as much of each day’s catch is sent to restaurants and markets in Saigon. On Phu Quoc, the most popular place to eat is the Night Market in Duong Dong Town. Seafood is fresh and there’s a lively atmosphere, but it’s a bit of a tourist trap these days. The resorts on Long Beach all have decent restaurants, and recently many international restaurants – including Indian, Italian, Spanish – have opened along the Long Beach road. 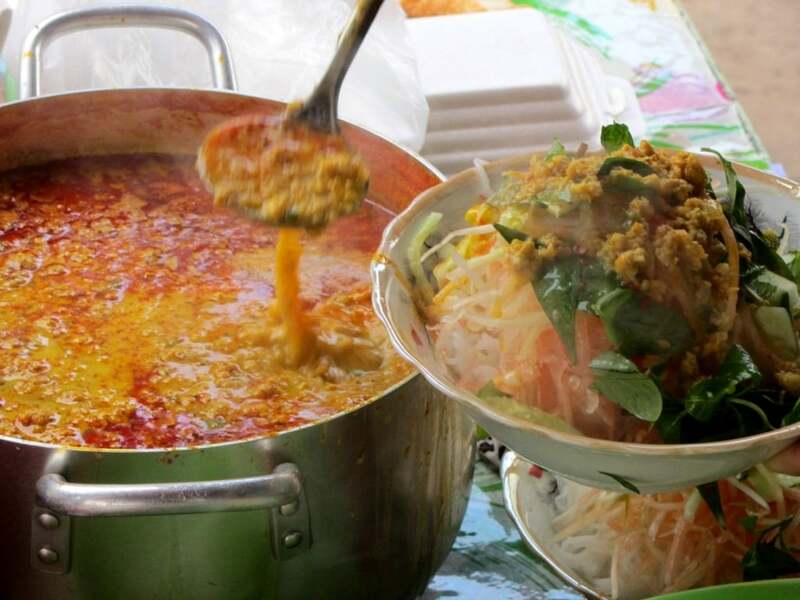 For a more local meal, head up 30/4 Street in Duong Dong Town, and step into one of the Quán Cơm or Quán Ốc eateries. 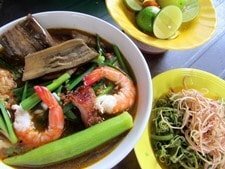 Phu Quoc has its very own noodle soup: bún kèn is an island speciality, which even most mainland Vietnamese have never heard of. Outside of the Duong Dong/Long Beach area, the best dining I’ve experienced is at Peppercorn Resort. For an island in the Gulf of Thailand, Phu Quoc’s night life is pretty tame. But there are bars all along Long Beach, including Rory’s Beach Bar, where nights out can easily run into the small hours. 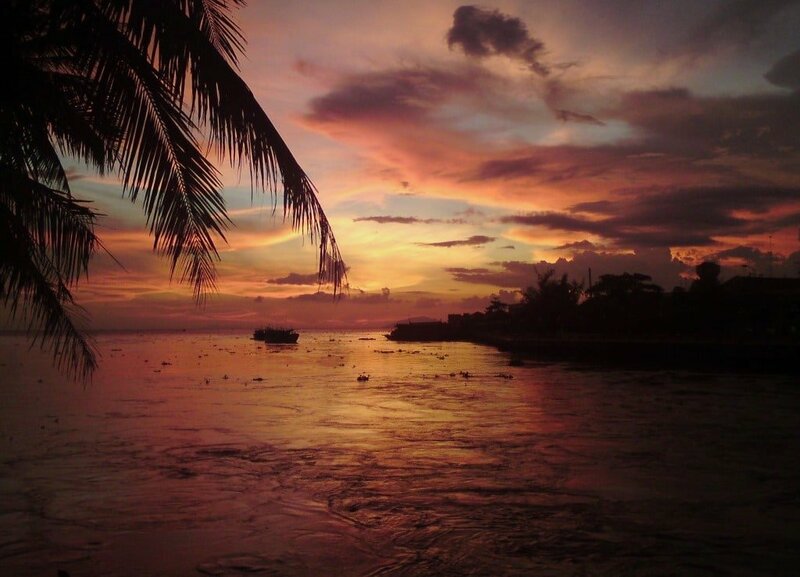 Other than that, enjoying cocktails at any of the seafront resorts, watching the sunset over the Gulf, is good enough for most people. Night life – like everything else on Phu Quoc – is bound to take off in the coming years. Con Dao has no night life: a relief for some; a disappointment for others. The limited options include: a breezy drink on the seafront promenade at Con Son Café, in the old French customs house, or cocktails and cake in the warm and cosy ambience of Infiniti Bar, located near the park in town. Weather on Phu Quoc is fairly simple: November to May is mostly dry, sunny and hot; June to October is rainy and humid. The best time of year is December to February, when skies are clear, seas are calm, and nights are cool. Weather on Con Dao is more complicated. September to December can be very windy, with gales whipping up waves that crash against the rugged coastline. Summer months bring a mixture of heat, humidity, rainfall, and blue skies. The best time to visit is February to May, when temperatures are (relatively) mild, skies are clear, and the sea in Con Son Bay can be as flat as glass. Whereas most of Phu Quoc Island is ringed with sandy beaches, Con Dao’s rugged coastline, while more dramatic than Phu Quoc’s, offers far fewer stretches of sand. Phu Quoc’s western seaboard is essentially one long, beautiful beach. The imaginatively named Long Beach is roughly in the centre, but the sand continues north and south of here to both ‘poles’ of the island. The northwestern beaches, Vung Bau and Dai, are especially peaceful and inviting. The eastern side of Phu Quoc is less enticing: the main ferry ports occupy two large bays, and trash and jellyfish make swimming nearly impossible. The northeast coast is pretty and isolated, but few travellers explore the area because the coastal road has yet to be upgraded from a bumpy dirt track. However, the eastern seaboard does boast one excellent beach: Sao Beach is a crescent of white sand with sapphire-coloured water in the southeast of the island. For many people, this is their favourite beach on Phu Quoc. In recent years, due to crowds of day-trippers, Sao has lost some of its rustic charm, and litter is starting to ruin its appeal. Both Con Dao and Phu Quoc are part of small archipelagoes, consisting of dozens of tiny outlying islands. These can be visited by chartered boats booked through tour companies, along with snorkeling and diving equipment. Most of the smaller islands are uninhabited and very beautiful. Diving on Con Dao is by far the best in Vietnam: check Dive, Dive, Dive! for details: www.dive-condao.com Nothing quite beats hiring a motorbike on either island, and riding along the coastal roads, stopping to swim at empty beaches. The road network on Phu Quoc is now pretty extensive, whereas Con Dao has only a couple of roads, but they are in good condition, empty of traffic, and very scenic indeed. The interiors of both islands are covered in thick jungle. The majority of Phu Quoc and Con Dao islands are part of national parks. The park headquarters can arrange treks through the forests to streams, waterfalls, and secluded bays. 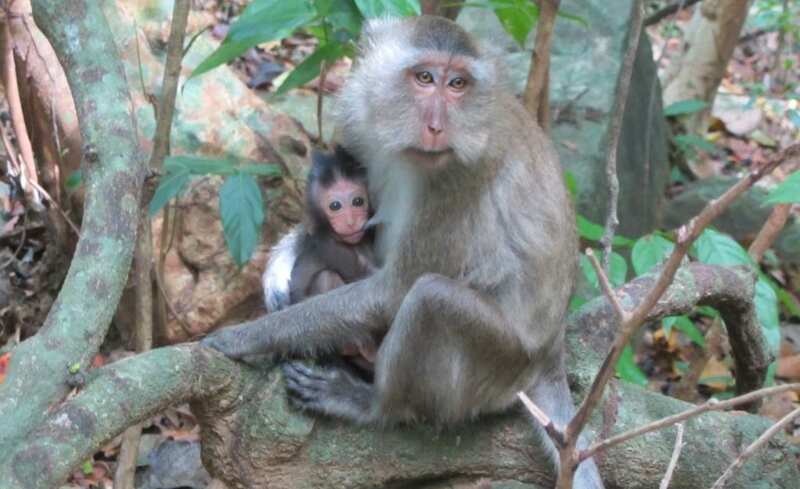 Con Dao has some particularly beautiful walks, and you will almost certainly see (and hear) some wildlife. I love both islands. But, for me, Con Dao has the edge over Phu Quoc. The moment you land on the tiny airstrip – stepping onto the asphalt in the dawn light, with the mountains looming behind – you know you’re somewhere special; somewhere unique. The drive along the coast road from the airport into Con Son Town only confirms this: it’s spine-tinglingly good. 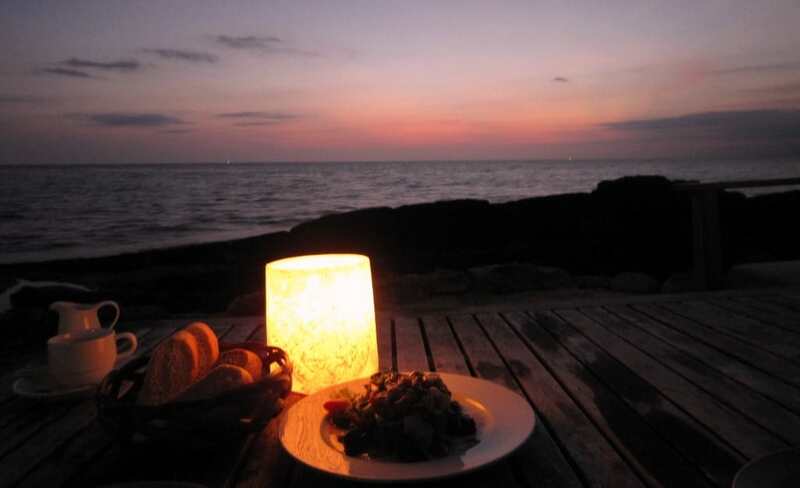 Phu Quoc is the more convenient of the two, but Con Dao has the wow factor. This entry was posted in ALL, Beaches, Con Dao, DESTINATIONS, Islands, Phu Quoc, The South and tagged beaches, blog, Con Dao, guide, islands, Phu Quoc, travel, Vietnam. Bookmark the permalink. 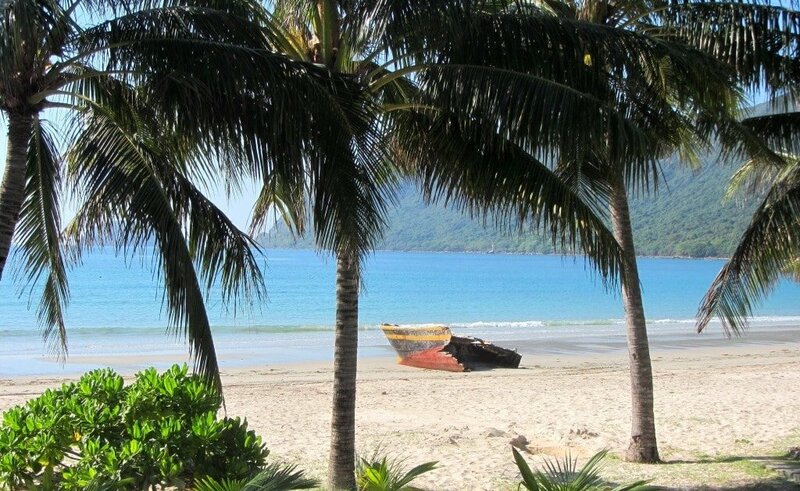 56 Responses to Southern Islands: Con Dao or Phu Quoc? To get from Con Dao to Phu Quoc, you can take the boat to Soc Trang in the Mekong Delta (read about that here). Thanks a lot for all your advice, I love your blog ! Just wondering about the weather now in Phu Quoc: as you mentioned in August it is raining a lot. Do you think it is still worth going there next week ? Also, in which part of the island would you recommend to stay for 4 days, for people who need calm, beaches and are on a tight budget ? I think there will still be some rain around. It’s still the rainy season in the south and that means that there will be tropical downpours now and then, especially in the afternoons. However, this doesn’t mean it rains all the time, and the nice thing about the rainy season on Phu Quoc is that there are less people and prices are lower. But Con Dao is also pretty good at this time of year: I’ve just finished updating my guide here. I’d recommend Ong Lan, Cua Can and Vung Bau beaches for quiet and less expensive accommodation. You can read more about them here. I currently live in Thailand long term and thinking about trying Vietnam for awhile. Either location have long term bungalows that are more remote that you can rent? If so do you have an idea on price(3-6 months). I work remotely so how is Wifi and phone internet speed there as well? Any difference in either place? I can’t offer much advice about that, but I do know that other ‘digital nomads’ make Phu Quoc home for months at a time. I’m sure some of them end up renting bungalows at a discounted long-term price from some of the smaller resorts in places like Vung Bau beach or Thuy’s House, for example. Strangely, I’ve always found the internet connection on Phu Quoc to be a bit annoying, but I’m sure they’re in the process of sorting that out, if they haven’t already. Wonderful article, as the rest of the blog! I was choosing between these two islands and it helped me a lot. I will be in Con Dao this March, thank you for the amazing job you are doing it here. Yes, it’s worth getting up early to see the fish at the Con Son market or at the Ben Dam port. Also, you could pay a midnight vigil at the tomb of Vo Thi Sau. Walking along the Con Son seafront promenade at dawn or dusk is great, and riding a scooter around the island is a must. 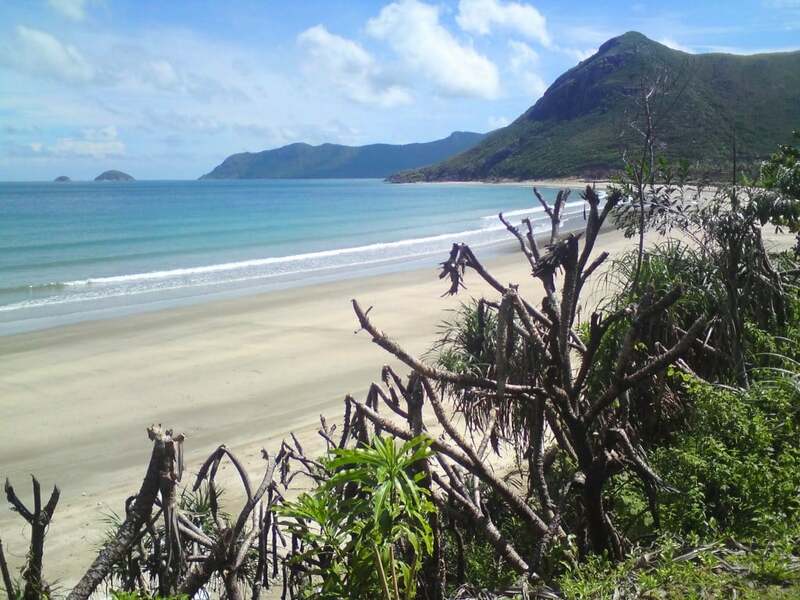 3-4 days is enough for the Con Dao (just to trek and have some rest on the beach)? the end of December is still not o good time to go there? Yes, 3-4 days should be enough. The weather in December is OK, but it can be quite windy too. It should be fine for trekking but maybe not perfect for laying on the beach. Love the info you have on Con Dao here, so thankful I found your blog! Did some research and saw that since July this year, there are speedboats available from Soc Trang to Con Dao. Any advice on how to get these tickets when Im not in Vietnam? Would prefer to buy/book them earlier ahead of my trip instead of trying to get it on the day or too near to my travel dates and find them sold out! Yes, I’m planning on taking the Soc Trang-Con Dao ferry myself sometime too. A few readers have written to say they’ve done it and it was fine. I think the boat is run by Superdong, so you should be able to find times, prices and possibly book tickets through their website. We were thinking of visiting Con Dao the last week of October, is this jus the worst time ever? I understand this time frame falls into dry season but also monsoon season. Do you think we could be okay with some nice windows of clear skies and calm water? We are not divers, we have small children who like to boogy board/body surf, some waves would be welcome. Also, is there a piece of Dat Doc Beach that is accessible to the public? I’m also curious if you’ve had any experience with Villa Maison Con Dao Boutique Hotel. Thanks in advance for your time! Be well and travel safely. I would say it’s worth trying Con Dao in October, yes. You can never really know what the weather’s going to do there. My Con Dao guides are due an update, and Villa Maison opened since my last visit there, so I haven’t been yet. But many readers write to tell me they’ve had excellent stays there. Yes, I think officially you are allowed to access Dat Doc beach just beyond the Six Senses barrier – but the staff try their best to shoo non-guests away, which is a bit ridiculous. There are 4 of us (including my 2 x 16 year old children), planning a trip to Vietnam this December from South Africa (2 weeks). The first week we still need to research, maybe doing a cultural/overland experience. You may have ideas on this? The second week we want to relax. My son and I scuba dive, but we’ll all want to snorkel. Con Dao sounds ideal, but not that time of year, so hopefully we’ll find a place on Phu Quoc that gives us the best of both islands if at all possible. It’s important that they feel they’ve experienced Vietnam, and not just any commercialised town replicated anywhere. Any ideas and guidance you can offer will be most welcome. Thanks again for the great insight you have provided. Yes, Con Dao does have the best diving in Vietnam, but I’m pretty sure that time of year can be a bit rough. But make sure before deciding against Con Dao: contact Larry from Dive, Dive, Dive – he’ll be able to advise you. If you do choose Phu Quoc then there are many companies (and most of the resorts too) that can arrange snorkeling and diving trips. That time of year is good for it too. You could try contacting John’s Tours on Phu Quoc to start to get an idea of what’s available. The problem with Phu Quoc is that, as you say, it is increasingly commercialized and subject to massive development. The main town of Duong Dong is now quite a large town with real Vietnamese life (once you get away from the seafront). But some of the beaches are packed with resorts. For something quieter, Ong Lang, Vung Bau and Ganh Dau beaches are a good idea. 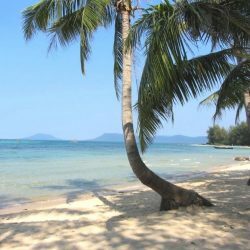 Take a look at my Phu Quoc Beaches Guide to get an idea of what the different beaches have to offer. We are planning to fly to Phu Quoc from Nha Trang (Via Ho Chi Minh) on our upcoming trip in May. Question is do you think we need to pre book the flights? Or is it not a busy enough time to have to do so? I think the only public holiday during May is Labour Day which is at the beginning on the month, so unless you’re flying then (when flights get booked up) you should be fine. But don’t leave it to the last minute either, because both of those routes are popular, although they are also well-served by many flights. Thanks very much Tom, very helpful advice. Hello !! I’m reading your post and is very interesting! Thanks for sharing! all the beaches are like sao beach ??? Do you know something about entry ticket for dai beach about 500.000 ???? Could you said me any clean and not too full beach. Try Vung Bau and Ganh Dau beaches: you can read more about them and other beaches on Phu Quoc in my beaches guide. But part of the reason for the trash is because now it is the Vietnamese New Year Holiday, which is the busiest time of year. The fee for Dai Beach is because it’s all part of the Vinpearl land now. Your article was very helpful. The best option really seems to be spending some time on both! But I don’t seem to find any connection. Do you know of any option? I’m planning to go end of February, beginning of March, which seems to be a good time. If not possible to go both, I’m more inclined to Con Dao – the food description is the only thing holding me back, as I love vietnamese food and seafood and feel it’s a shame not to be able to enjoy it. Yes, that’s right, there’s no direct connection between the two islands, but you can fly between them if you transit through Saigon. I’ve done that a couple of times before and it’s fine – they’re both such short flights that it’s all pretty easy. 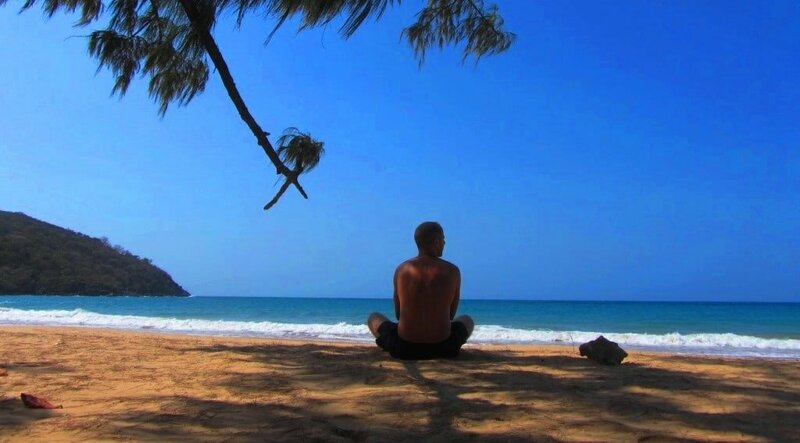 Yes, February/March is a good time to go – the weather will be good on Phu Quoc then, but better to wait until March for Con Dao. Always happy to hear suggestions for dive spots in August. Yes, as far as I know, diving conditions on Phu Quoc in August aren’t great because that is the middle of the rainy season. Con Dao has the best diving in Vietnam, by far. August may still be OK there, because it has it’s owned crazy micro-climate. I suggest you contact Larry from Dive, Dive, Dive on Con Dao – he will be able to give you all the advice and information you need about diving there. Great article, thanks so much! We’ve just started looking into Vietnam as a destination for our next holiday, but this site is a great help! Happy holiday planning and I hope you enjoy your trip to Vietnam! Kan je ook zonder malariatabletten verblijven op Phu Quoc. Mijn man heeft hogebloeddruk tabletten en gebruikt daardoor liever geen tabletten, Is het een must op dat eiland of valt de malaria mee. As far as I know there is no need to take malaria tablets if you are visiting Phu Quoc Island. But you should definitely ask your doctor before making your decision about whether to take them or not. Thanks for this post! Exactly what I was looking for. We are crossing over the border from Kep (Cambodia) to Vietnam today and though we are not short on time, I think it is a case of one rather than the other. 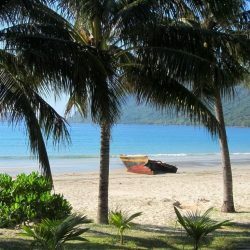 Con Dao sounds more like our kind of place but given our location (Ha Tien), budget and some of the conveniences, we might have to consider Phu Quoc. Yes, you’re so close to Phu Quoc that it’ll be much easier to get there. 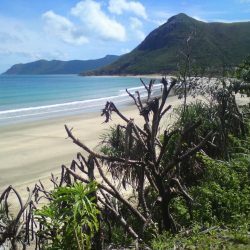 However, if you’re concerned about your budget on the Con Dao Islands take a look at this guide. I love this!!!! I actually grew up in Vietnam but been living in the States for 11 years now. Going back for the first time in 4 years and I find myself looking at your website to find things to do. I was debating between Con Dao and Phu Quoc and I think I’m going with Con Dao. Would you say renting a scooter in Con Dao is crucial? We don’t have licenses so how does it work for foreigners who are there for a short time? I noticed whenever I go home I’d see lots of foreigners riding bikes, is there a temporary one you can get? 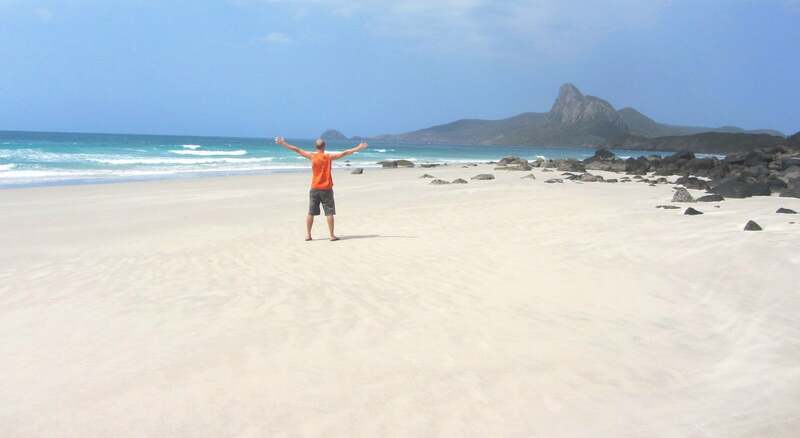 Good to hear that you are planning to visit the Con Dao Islands. A scooter is not essential (there are taxis on the island too) but it gives you that extra bit of freedom to explore the island and go where you want when you want. You don’t need to worry about licenses etc – it’s not an issue when renting motorbikes on the Con Dao. I’m visiting Phu Quoc in 2 weeks time and have misplaced my driving licence. Will I be ok renting a scooter there without it? Yes, you should still be OK renting a motorbike on Phu Quoc without a license. 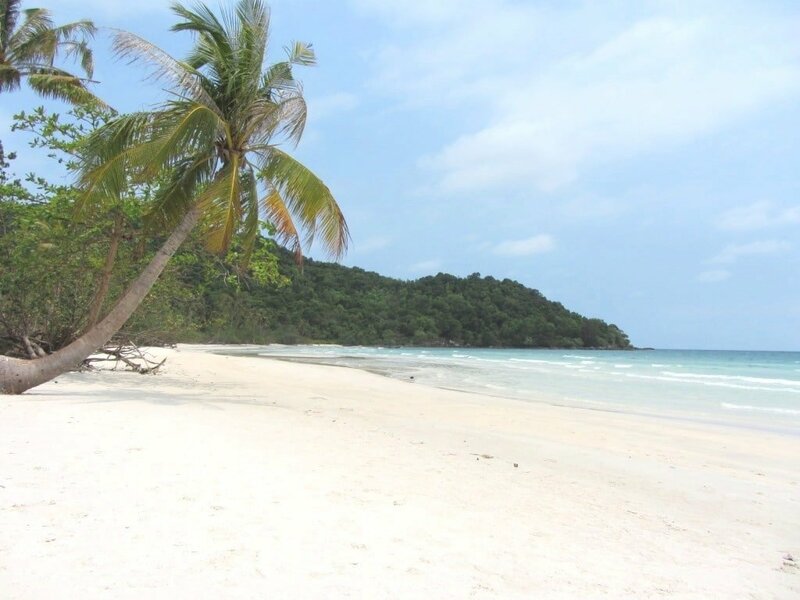 There are some devastating reviews of some of the beaches of Phu Quoc of Trip Advisor, particularly Sao Beach (mentioned here) and Long Beach. I’m trying to understand whether the travellers are particularly jaded or whether the trash is somewhat seasonal and they went at a bad time. Trash is definitely a problem on Phu Quoc. To a certain extent it depends on the time of year – public holidays bring lots of domestic tourists to Phu Quoc’s beaches, and this sadly leads to more trash. I’ve written extensively about trash in Vietnam’s beauty spots here. However, if you have your own wheels on Phu Quoc you shouldn’t find it difficult to find a good patch of beach. Sao is massively popular as a day trip and that’s part of the reason why it’s starting to build up with trash. 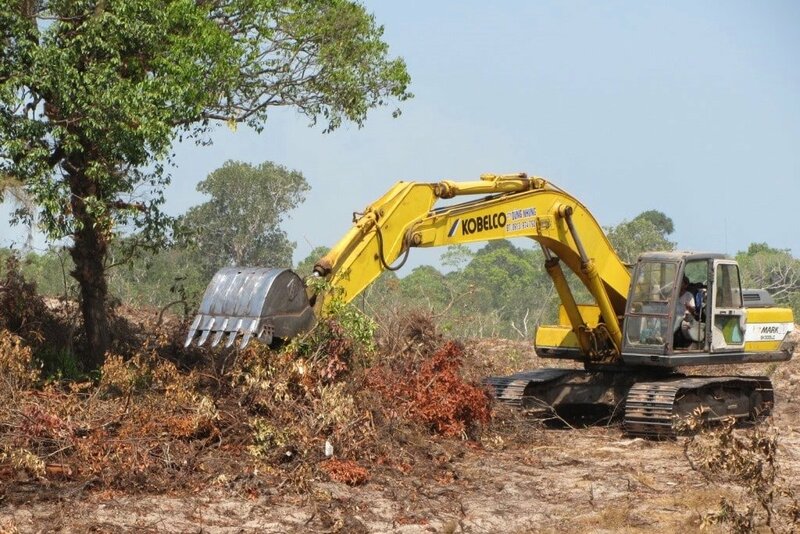 There are initiatives to start treating Phu Quoc’s beaches better and start cleaning them up. Having said all of that, I’ve always managed to find excellent stretches of deserted and clean sand on Phu Quoc every year – as evidence by my photos both on this page and in this guide too. For more off the beaten track beaches, you might want to take a look at this. Have you any interest in visiting some of Vietnam’s other islands? I heard the ones in Bai Tu Long Bay are also very beautiful and have some nice beaches. Also some southern islands like Ly Son and Nam Du looks nice in pictures. Yes, you’re right. I have been to Bai Tu Long Bay before and really liked it, but I want to go back soon so that I can explore it more. 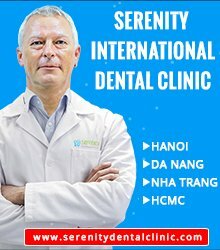 we are so happy having found your blog, as it will be our first stay in Vietnam! We are a German couple, we want to stay on Con Dao or Phu Quok the first week of March 2016 at the end of our travel. We go there mainly for snorkeling, and would prefer Con Dao because it is smaller and more quiet. But we are not sure if the weather and water ( calm and clear enough for snorkeling) conditions are better on Phu Quok. Do you have any advice for us? Again a very good article, which realy sums it up perfectly. We used several of your suggestions on our actual trip (like rooftop bars or the coffee quarter in HCMC or beaches on Con Dao) and agree with most of them. Thanks a lot for the great work you’ve put into this page. I would like to share some of our experience we made on Con Dao and Phu Quoc. We were on Con Dao last week (6 days) and stayed at the Con Dao Resort, which is clean, but it’s not worth the money (approx 100 € / night). The staff is not very helpful, especially if you try to complain about noise or the ongoing construction / renovation work. Breakfast was also poor for that price. We checked the Con Dao Seatravel (also at the beach) and it’s cheaper and the small huts are very cosy. 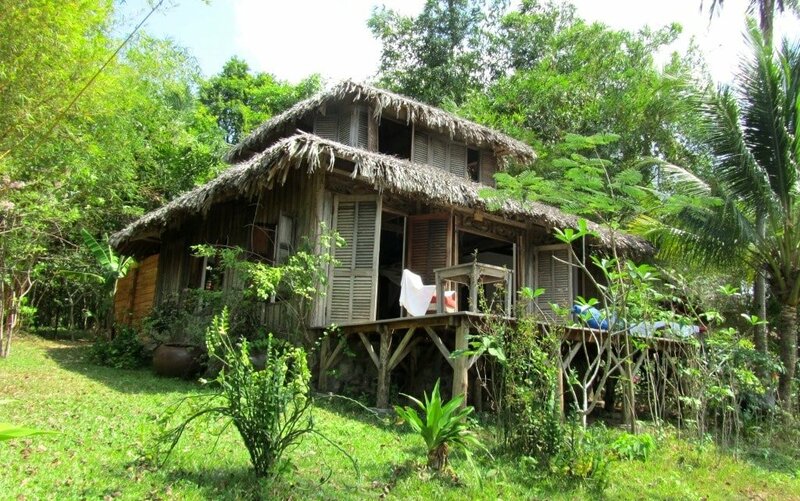 You can get a bungalow for 85 $ and if you stay for more than 2 nights they offer a discount. We went diving with Larry (dive! dive! dive!) and we enjoyed the trip. He is a very good diving guide and a interessting person to talk with. 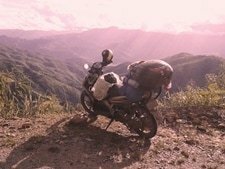 Moreover he and his staff are very helpful (like getting a motorbike or showing you the ways to the best spots, which have been described on this website). Just a tip for divers: If you are into diving you should visit the island when the sea is more calm, because we had realy limited visibility (like 2-3 m max.). Right now we are on Phu Quoc, staying at the Mango Bay Resort (which we can recommend, although food and drinks are a little expensive). In comparison to my last stay on the island (December 2010) things realy changed. The new airport is fancy and the old one is used as a street now. Duong Dong is much more crowded with tourists (although it is rainy season). I haven’t checked out the beaches yet (due to too much rain), but if things changed compared to your article, I will write another comment. Unfortunately I got to know, that prices for renting a motorbike have increased. Now they ask 200.000 VND per 8 hours (Con Dao 100.000 VND per Day). Any idea where I can get it cheaper? Moreover they told me, that police is checking foreigners for the vietnamese driver’s license. Did anybody experience such a police check allready? I’m looking forward to read more of your good articles. 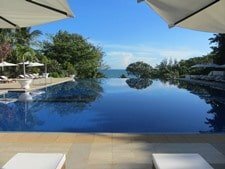 Yes, I agree that the Con Dao Resort is not ‘value for money’ but, as I mention in this article, most things on the island are more expensive than they ‘should’ be. I also agree with the breakfast – as I say in my review of the hotel in my Con Dao Guide, it’s a bit like school dinners 🙂 I have stayed at Seatravel before and it was perfectly fine, but I have friends who have had terrible experiences there, especially with the management, and if you have a lot a TripAdvisor you’ll see other people have had similar experiences. Larry usually suggests to me that divers come around April, May, June for calm waters and visibility. I would recommend divers to contact him at Dive, dive, dive! before booking flights to the islands if diving is their main objective. Yes, Phu Quoc is changing fast! I don’t know of anywhere in particular to rent cheaper bikes. There are always scares about police clamping down on foreigners, but I’ve not experienced any major difference personally. Best thing to do is wear your helmet all the time, drive safe – don’t give them any excuse to pull you over – not that that makes any difference sometimes. Thanks for your comments and updates. I hope you enjoy your time on Phu Quoc – I think you’ll find Dai Beach has changed a lot! Thanks a lot for writing the comparison between the two Tom! 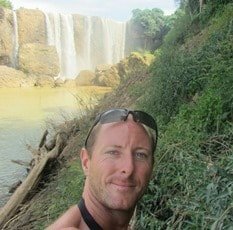 I am in the planning phase of our 3 weeks trip to Vietnam and your article helped me decide between the two islands. We are an active couple and we’ll have to choose PHU QUOC simply because it seems there’s more stuff to do out there. How many days would you recommend spending on the island? We only need one day for relaxing and sunbathing, other than that we’d like to take day/half day tours/activities. Well, one day relaxing and 2-3 days exploring and doing tours/activities: I would think 4 or 5 days will be good. When I visit that’s how long I usually spend, and it works out well. A very thorough ‘compare and contrast’! You mention that Con Dao can get very windy; when we went the plane couldn’t land and we had to fly back the next day – no idea how often that happens but its something to bear in mind if you’re on a tight schedule. I read recently that a Norwegian company called LMG Marine will soon (a Vietnamese ‘soon’!) be running a ferry service to Con Dao using new twin hulled fast boats from Vung Tau. 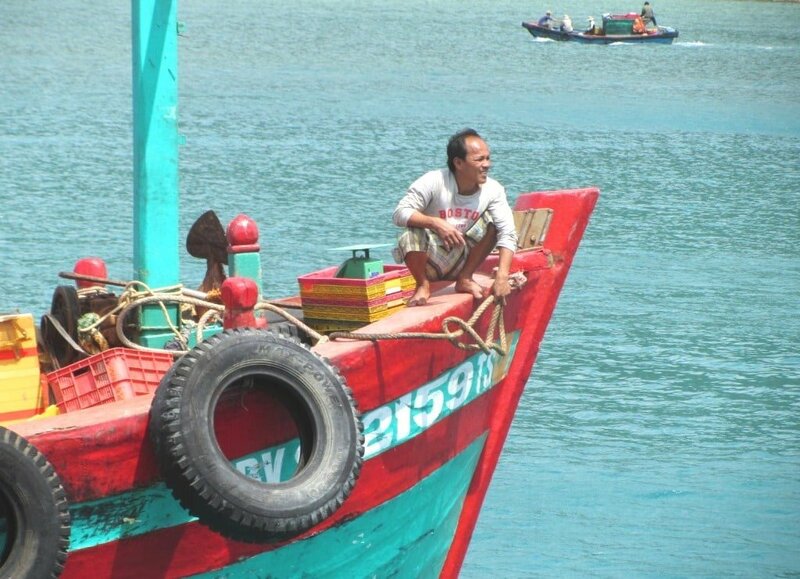 That’s exciting news about the new boat to Con Dao – wouldn’t that be great! I’ve certainly experienced rough landings on Con Dao but not so extreme that we couldn’t land. I hope that’s a rare occurrence.